Because my father was never the most enthusiastic braaier in the world, we never had roosterkoek at home, but as a teenager I was thrilled to discover that friends could make this stuff on demand, and on a braai!! No road trip through Hessequa would be complete without a roosterkoek at Aloe Motors in Albertinia. These local delicacies will fuel you for a whole day of adventuring. What on earth is a roosterkoek? Directly translated this Afrikaans word means “grill cake” – and you pronounce it saying “roo-stir-cook”. 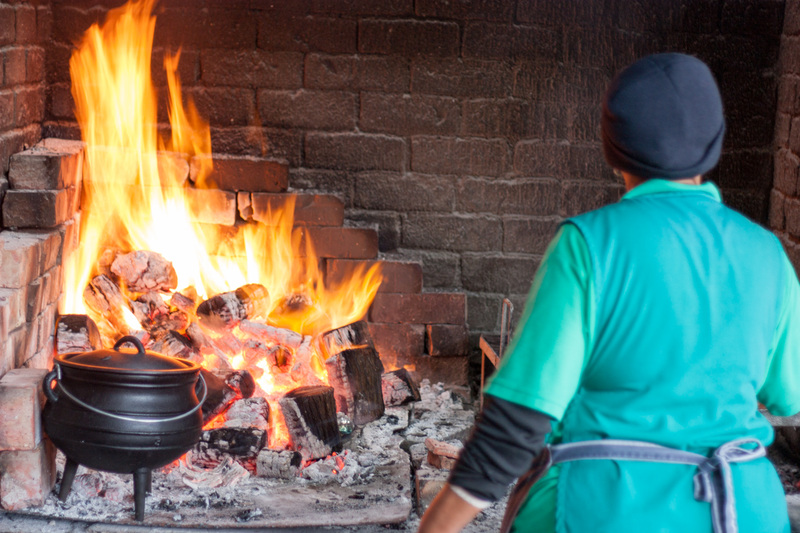 It’s a bread or dough cake, leavened or unleavened, baked on a grid-iron over hot coals from a wood fire, and the traditional bread to accompany a braai (BBQ). The indigenous Khoi people who lived in the Western Cape made bread like this centuries ago, by using open coals and fire heated rocks to bake their dough. Today it can be enjoyed with a variety of toppings stuffed in the middle – meats like sausage and ribs, apricot jam, cheese, scrambled eggs – the choice can be hard sometimes! In winter time they also have mouth-watering soup to accompany your roosterkoek and warm you up inside.